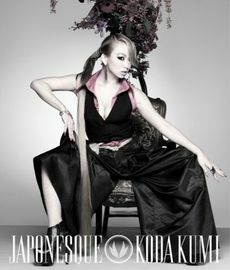 Koda Kumi's album "Japonesque" is releasing on January 25th, so until then you can listen to the album online.. check it out below.. I have been O.B.S.E.S.S.E.D with it and replaying the songs over and over again and I have ordered the album for all my friends and family as we all huge Koda Kumi fans! This album is truly and easily one of her (if not) her best album! It's simply gorgeous delicious and divine! Listen up below.. and tell all your friends about this album!